We had a lovely Easter weekend…we hope you did too! Our own Joseph Connor, celebrated Good Friday with a cross walk. From the Lebanon Daily News, “The Annville-Cleona Council of Churches held a Good Friday Crosswalk March 30, 2018. 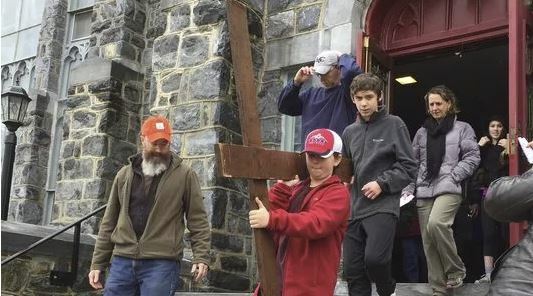 Members joined a procession behind a cross carried by members of the congregation which made stops at local churches along a route through Annville.” Click the photo for more on this story.